Vitra Miniatura Ribbon chair, Paulin: The enthusiastic, progressive atmosphere of the 1960s and Pierre Paulin's sculptural training were influential factors in the design of the Ribbon Chair. The curving loops of its shape, covered in colourful upholstery fabrics or psychedelic patterns by Jack Lenor Larsen, give it a captivating, futuristic appeal. 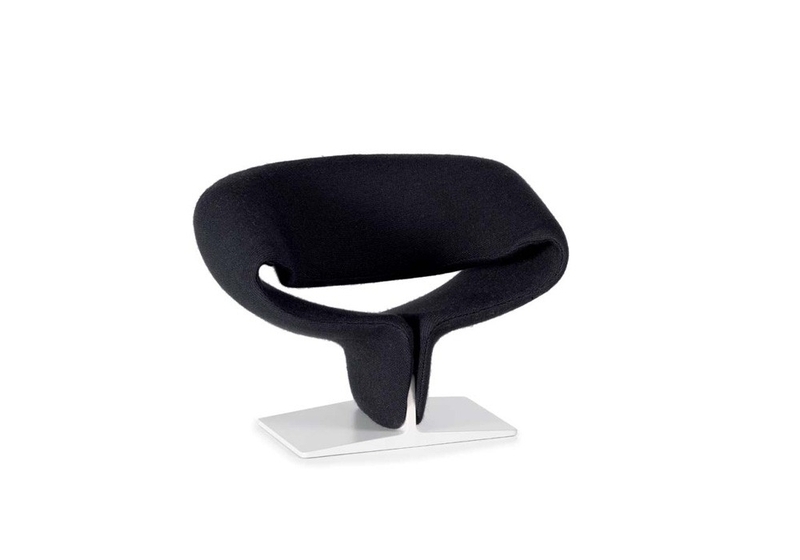 Vitra Miniatura Ribbon chair, Paulin: The enthusiastic, progressive atmosphere of the 1960s and Pierre Paulin's sculptural training were influential factors in the design of the Ribbon Chair. The curving loops of its shape, covered in colourful upholstery fabrics or psychedelic patterns by Jack Lenor Larsen, give it a captivating, futuristic appeal. 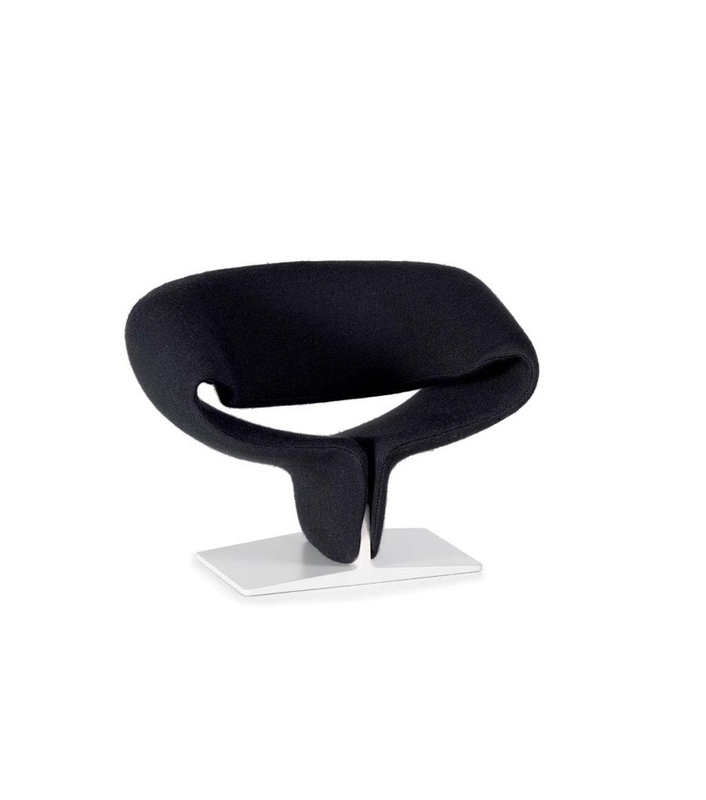 Pierre Paulin himself interpreted the Ribbon Chair as a "coup de pied à la lune". A famous advertisement shows the Ribbon Chair on a runway with a jet taking off above it. The seat, backrest and armrests of the chair have a unified metal frame that is completely covered with foam upholstery and stretch fabric. The seat is mounted on a lacquered pedestal made of pressed wood. 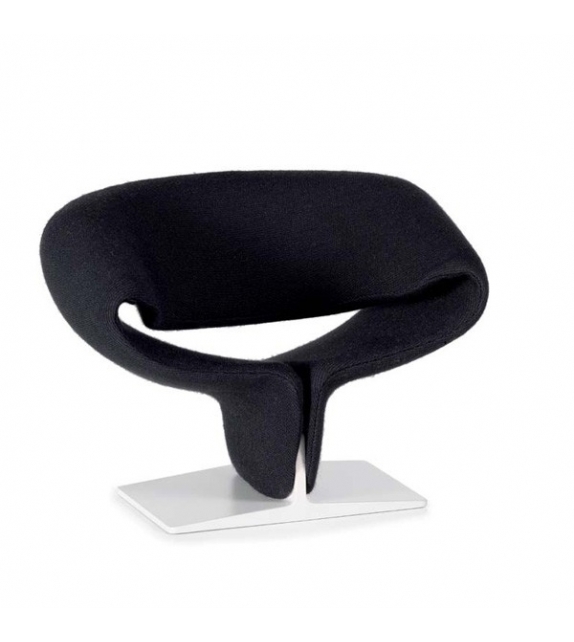 The development of the Ribbon Chair was facilitated by technological innovations during the Sixties, which led to the production of inexpensive synthetic foams. This period also saw the introduction of novel elastic fabrics that could be used to envelop a complex contoured shape without folds or intricate seams. The biomorphic, slightly resilient seat of the Ribbon Chair allows a wide variety of sitting positions and provides a high degree of seating comfort. Bent tubular steel frame, foam padding covered with two-way stretch fabric, lacquered pedestal made of form-pressed plywood, plastic glides.